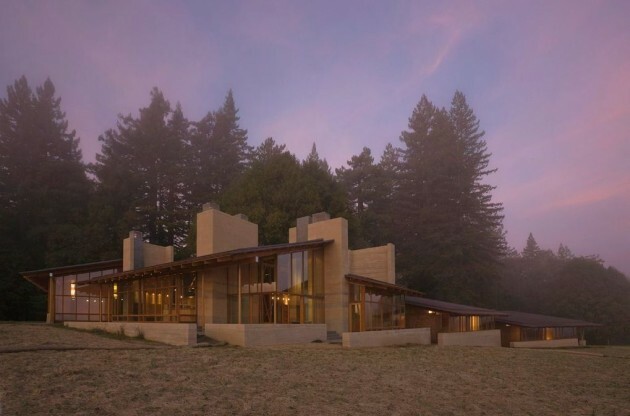 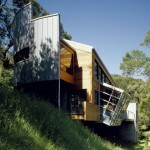 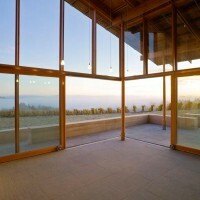 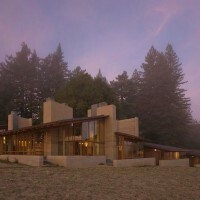 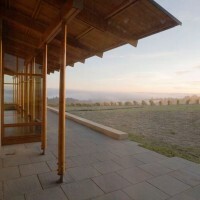 Cutler Anderson Architects designed this residence in Bodega, California. 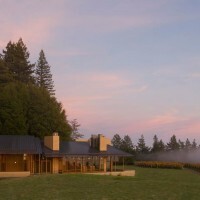 The divide between dark forest and bright field, between random nature and ordered agriculture and between intimate and distant views seemed like the appropriate position to place this recently completed residence. 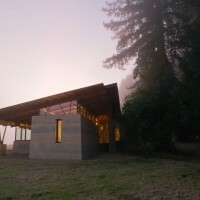 That edge position allowed the architect to reveal all of these varied aspects of the land through a choreography of movement that the family can emotionally experience daily. 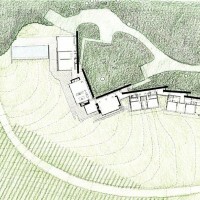 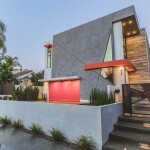 Designed less as an object and more as a series of visual events, the residence is an attempt to heighten, through contrast, the mulitiple natures of this ridge. 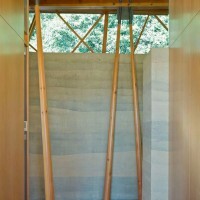 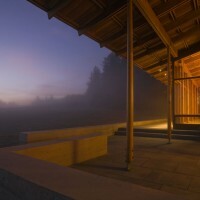 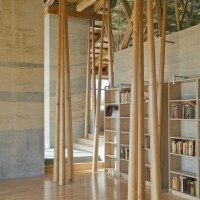 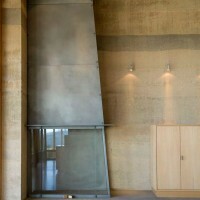 Internally, the structure is also ordered to reveal, again through contrast, the lightness of the wooden roof structure and the mass of the rammed earth walls. 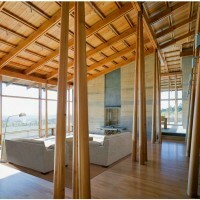 The wood roof/column system is designed to resist lateral movement while still pushing the material to its lightest possible dimension. 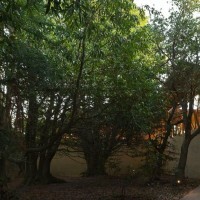 The massive walls are intended to make the dark forest even darker. 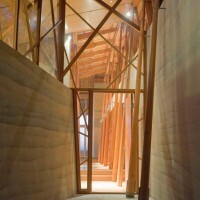 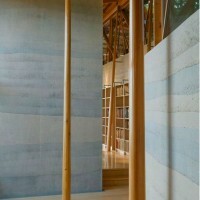 The gaps between them are intended to either create a compressive experience upon entry into the light-filled interior or to frame specific views of the forest at the end of each passage.